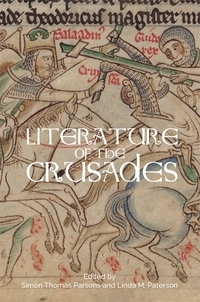 As its editors stress, although the critical interrogation of literary texts has long underpinned scholarly treatments of the crusading movement, the methodological chasm between texts and approaches categorized as "literary" versus "historical" persists, despite copious evidence for the impact of crusading on the medieval world and its oral and written productions in multiple genres which dialogued with and influenced each other: hagiography, liturgy, poetry (lyric and epic), literary compositions, oral traditions, sermon literature, pilgrimage accounts, and narrative histories. 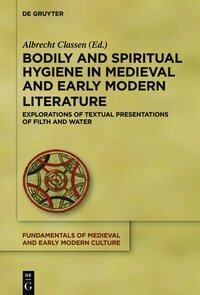 In the past, they lament, the kinds of texts which literary scholars studied were typically spurned or marginalized by empiricist historians as less reliable for establishing "what actually happened", and so were not incorporated into historical treatments of the crusade movement and its significance. This was exacerbated by scholars' tendency to pigeonhole vernacular literature into "national" categories or linguistic families despite evidence that vernacular traditions routinely cross-pollinated and interacted with each other and with Latin literary traditions. Clearly, regional crusading customs and patrons' taste for particular poetic traditions shaped the survival and transmission of lyric crusading poetry. Luca Barbieri observes that although some Occitan troubadours and Old French trouvères exchanged poems or campaigned together, surviving Occitan songs span a wider generic range, albeit one often tinged by the sirventes' penchant for political, moral and religious exhortation and attacks on perceived hypocrisy. In contrast, most Old French crusade songs are adaptations of the "song of departure" focusing on lovers' separation or conflicts between romantic longings and duty as milites Christi. 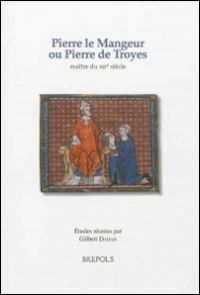 Because French nobles preferred this courtly image, chansons de départie dominate aristocratic lyric songbooks; other more idiosyncratic crusading poems expressing distinctive or politicized sentiments invaluable for illustrating tensions among the crusaders survive only as copied into or with chronicles, memoires, or miscellanies and so were often excluded from older published anthologies of crusade songs. One such poem was probably written by a clerk in Henry II's chancery in 1188, perhaps addressed to the same knightly audience which would have enjoyed hearing the topical prophecy of the Eagle and the vernacular Chronique des ducs de Normandie with which it was bound. In contrast, Richard I's Old French hybrid sirventes-canso exploited the motif of the lover as prisoner to savage his opponents and pressure his allies and the notoriously fickle marcher lords to amass the staggering ransom necessary for his release. The legend of Melusine previously invoked by Richard was later appropriated by Jean d'Arras to prop up his patron's claim to the fortress of Lusignan. A feat of pro-French myth-making symptomatic of late fourteenth-century French crusading enthusiasm, Jean d'Arras's deliberate elision of Richard and the Templars from Cyprus' history was meant to undermine English claims to the island. Comparable ties between patron and message, sermons and lyric poetry characterize the troubadours who accompanied Charles of Anjou to Sicily. Perhaps at the request of their royal patron or papal legates, the otherwise barbed Rutebeuf and other poets drafted recruitment pieces for Charles' political crusade, their generous description of the indulgence's rewards attuned to contemporary crusade sermons. Similarly, Charles' rival, Peter III of Aragon employed poets and historians including Bernat Desclot and Cerverí de Girona, who upheld Peter's reputation while targeting Charles and rebellious Catalans with "rampant anti-Angevin propaganda" (107). Peter's father had initiated a historiographical tradition which positioned crusade and reconquest as central to Catalan and kingly identity, to which Peter added his own chivalric spin, perhaps in reaction to political crusading's moral opacity and repeated failures to retake Jerusalem. 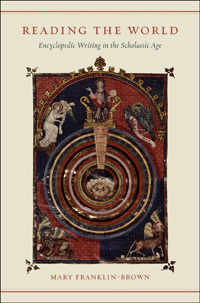 While these poems and histories efficiently aroused the emotions of their audiences, Latin authors also employed complex and multifaceted emotional characterizations of Byzantine and Muslim adversaries and "false" crusaders to amplify Christian achievements or symbolize the duplicity and erroneous beliefs of inimici Dei. 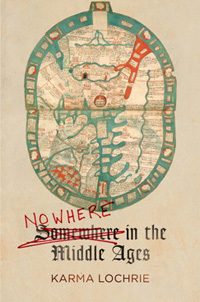 Simon Parsons exploits contemporary debates on the tangled relationship of surviving written accounts of the First Crusade to rehabilitate the unedited and largely disregarded Anglo-Norman verse Siège d'Antioche. 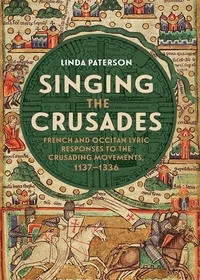 After examining the poem's textual connections to Baldric of Bourgueil's Historia Iherosolimitana and the Chanson d'Antioche, he concludes that its focus on Norman, Angevin, and Percheron participants reveals traces of important local traditions of crusading memory and of a reservoir of oral crusading accounts utilized by multiple written Latin histories and vernacular poetic traditions. 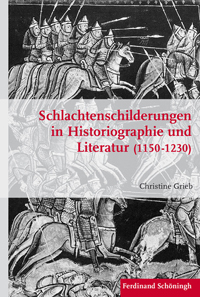 Simon John comes to similar conclusions through the analysis of evolving depictions of Godfrey of Bouillon's bifurcation of a Muslim foe during the siege of Antioch, while Carol Sweetenham convincingly argues that in the earliest surviving Latin narratives of the First Crusade, vernacular poetry and oral anecdotes were utilized to supplement "gaps" in existing western Latin material, to plug plot holes, envisage events on the Muslim side, or recast military encounters into familiar religious or chivalric terms. Interdisciplinary exchange often raises new questions and avenues for research, and the editors of the volume conclude by making several bold claims. Firstly, they position crusading texts "at the forefront of innovation in the shaping of history, narrative, and lyric" in their resort to "hybridity" to define and evoke the crusading experience (6). Secondly, they call for further exploration of the roles played by historical (or pseudo-historical) narrative and lyric poetry in commemorating past events, curating dynastic and personal investment in crusading, and leveraging these to support other political, cultural, and ideological objectives (6). While their assertion that literary scholarship may perhaps be more advanced than historical scholarship in the consideration of multiple fields seems a bit overstated, their call for the expansion of the corpus of crusader texts from a narrow band of narrative sources to include lyric poetry, sermons, epics, and recruitment songs is most welcome. This was, after all, one of the goals of the current reviewer's inclusion of translations of Rutebeuf, crusading sermons, liturgies, letters, wills, and charters in Crusade and Christendom (2013). However, this call must also be heeded by literary scholars; potential approaches have been demonstrated by those essays that balance the consideration of both Latin narrative and vernacular poetic sources and the interpenetration of, for example, orally performed written pieces such as histories, recruiting songs, papal letters, and sermons. For example, did lyric poetry routinely intersect with other spoken forms such as saints' vitae and liturgical songs? Sweetenham indicates this was so for Latin narratives of the First Crusade which utilized themes from the liturgy, chansons de geste, lais and vernacular hagiography. After all, some jongleurs or those inspired by them turned preachers, chroniclers, and hagiographers (Waldes of Lyons, Helinand of Froidmont, Fulk of Toulouse). Preachers considered jongleurs rivals even while writing poetry (as in the case of Philip the Chancellor) or using motifs from epic and lyric poetry and liturgical altar-calls in their sermons. 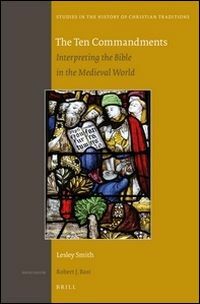 Perhaps an investigation of the literary function of and dialogue between exempla in the sermon tradition and set-piece episodes and "exemplary" heroes in the historical and poetic traditions and fabliaux might yield similarly impressive results. Cf. 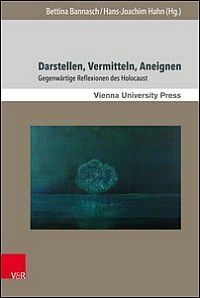 Laura K. Morreale / Nicholas L. Paul (eds. ): The French of Outremer. Communities and Communications in the Crusading Mediterranean, New York 2018.